I got an idea a while back to create some birthday decorations around a semi truck theme for Jude's third birthday. 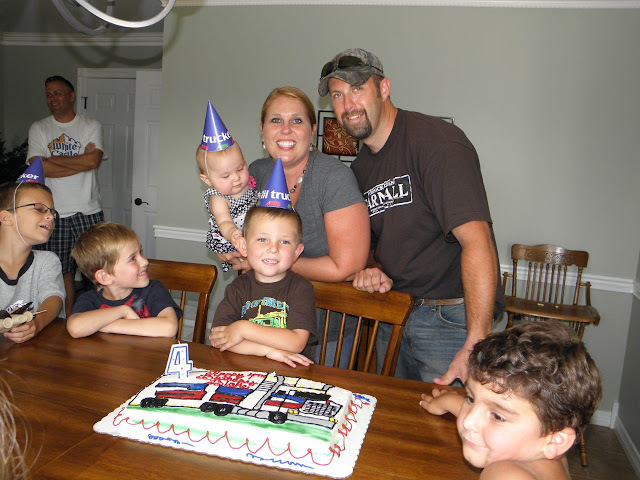 He was obsessed with his toy semi trucks at the time. He's since moved on to Bob and Larry, but not before I got a whole set of trucker decorations made up. 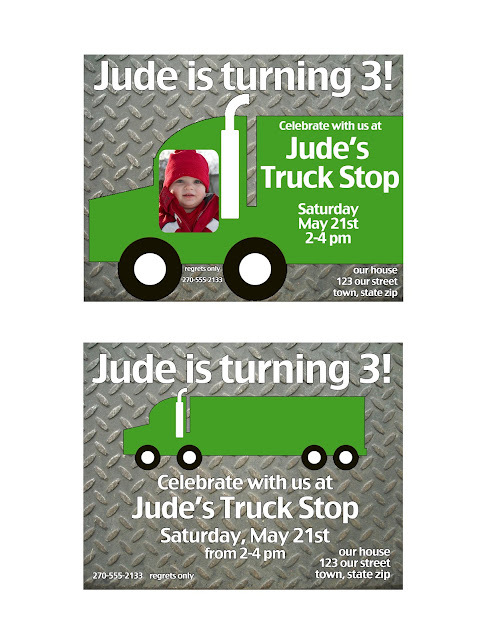 I happened to bump into Amanda recently on the internets, who was looking for some big rig birthday party decorations, and I was thrilled to take the ones I'd made for Jude and customize them just for her son's party. Aren't they a great looking family? The cake looks great, too! 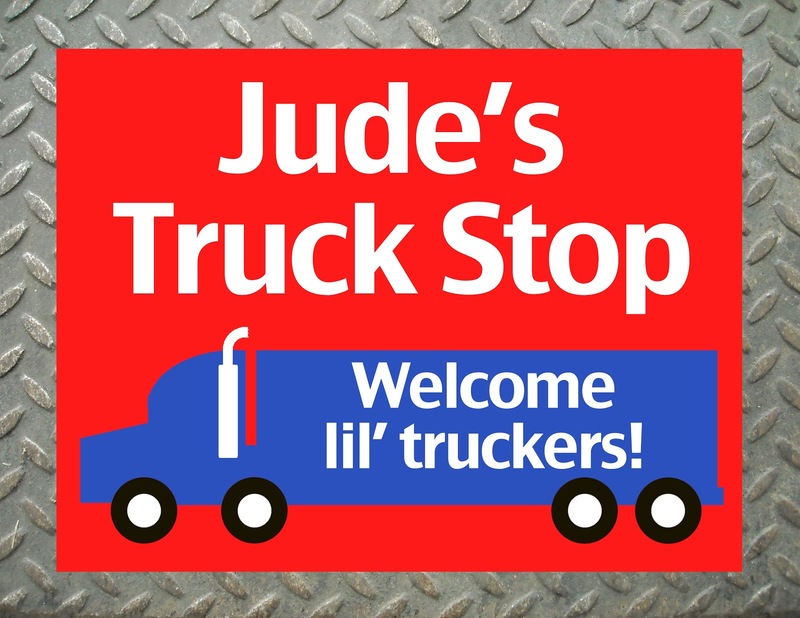 The banner and hats are part of my 'lil trucker collection, and I've also made a welcome sign, two refreshment table signs, cupcake wrappers, cupcake toppers, a favor tag, thank-you notes, invitations, and a t-shirt. 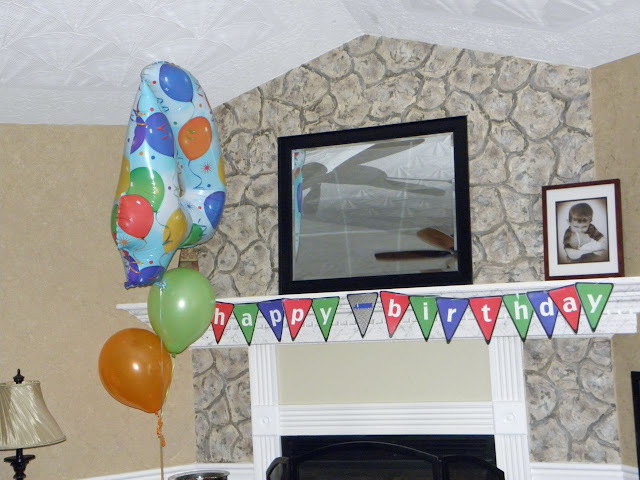 Custom invitations are available with or without a picture. These are all totally free to you as they are. The welcome sign, refreshment signs, favor tag, cupcake wrappers, and thank-you notes are not age-specific, and three of the four cupcake toppers are not age-specific either.